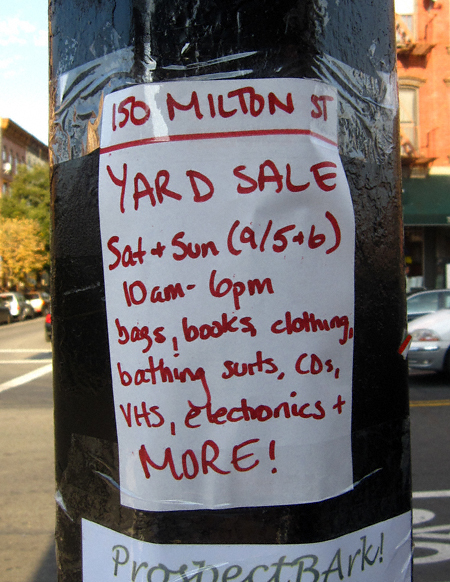 For those of you who are staying home this holiday weekend (and want to do a little shopping on the cheap) here are a few stoop sales to consider. Although the prospect of parsing through used (?) bathing suits skeeves me out to no end books and CDs are always on my shopping list. Especially if they’re cheap! September 5 & 6, 2009 from 10:00 a.m. – 6:00 p.m. This one is for early risers only. 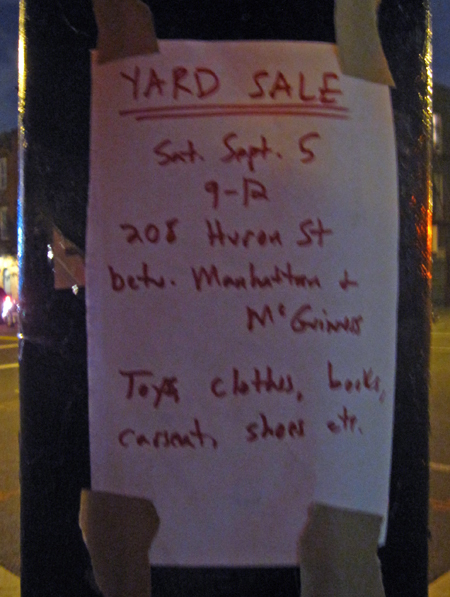 Given that the wares advertised are for (small) children those of you who might be interested will probably be up and about anyway. 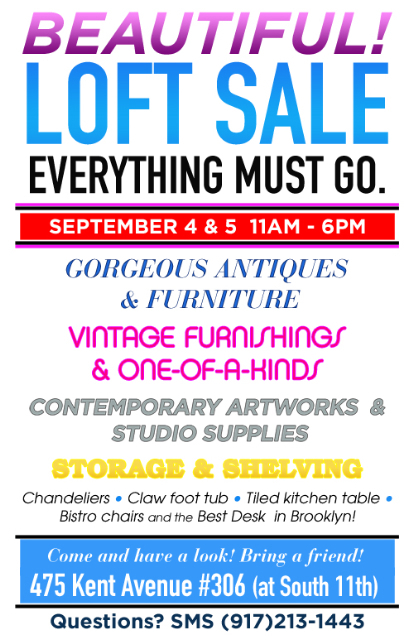 September 5 from 9:00 a.m. – 12:00 p.m.
And last— but hardly least— today is the last day of this loft sale in Williamsburg.